(CNN) -- The search for the data and voice recorders from the Air France plane that crashed more than a month ago off Brazil's coast is entering a new phase, according to France's accident investigation agency. Searchers have discovered hundreds of pieces of wreckage from Air France Flight 447. All 228 people aboard the plane were killed in the June 1 crash. The flight data recorder and the cockpit voice recorder, commonly known as black boxes, stop giving out acoustic broadcasts after 30 days. But investigators decided to continue listening for the "pings" for 10 days after that. Now, the two U.S. naval vessels and a French Navy submarine will halt their search for the recorders which investigators hope will shed light on exactly how the plane crashed. The second phase of the search will involve France's oceanographic ship "Pourquoi Pas?" which carries specialized exploration and intervention vehicles, according to the French air accident investigation agency known as the BEA. The French vessel will conduct new searches using diving equipment and towed sonar, the BEA said. Finding the recorders is of "capital importance," and "no effort must be spared in achieving this end," Air France has said. "We want to stress that for the sake of the families, we hope that the search for the black boxes will be successful," an Air France representative said. This month, investigators revealed that the plane bellyflopped intact into the Atlantic Ocean. Investigator Alain Bouillard said it was still not clear what caused the crash, the deadliest in Air France's 75-year history. The mountainous ocean floor in the search area ranges from 3,280 to 15,091 feet, BEA officials have said, making the search for the recorders -- and the rest of the plane's debris -- difficult. "It is as if it fell in the Andes," said Olivier Ferrante, chief of the BEA search mission. Flight 447 went down in stormy weather while flying from Rio de Janeiro, Brazil, to Charles de Gaulle Airport in Paris, France. 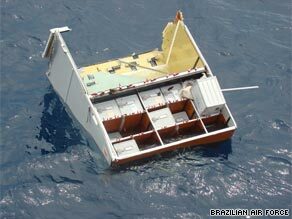 Brazil called off the search for bodies June 27, having found 51 of the 228 people who died, according to the military. Investigators have also found more than 600 parts and structural components of the plane, along with luggage, Bouillard said.